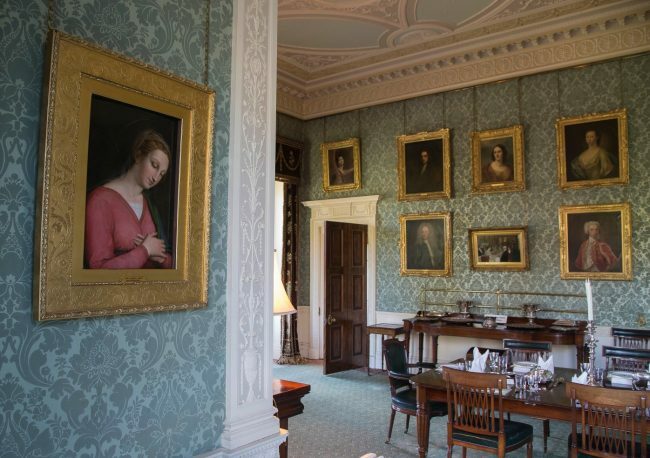 Stately and striking, Haddo House casts a huge impression from the moment you set eyes on it. Designed in 1732 by William Adam, the house underwent an opulent remodelling in the 1880s. As a result, it has the clean elegance and swooping lines of the Georgian style with a luxurious Victorian interior. Family portraits trace generations of Gordons, who played a huge part in Scottish history. George Gordon, 1st Earl of Aberdeen was Lord Chancellor of Scotland; the 4th Earl served as Prime Minister. More recently, Haddo was a maternity hospital during World War II – over 1,200 babies were born here. In 2016, a painting of the Madonna at Haddo received a lot of attention when it was identified as being probably by Raphael. We’re now working with Dr Matthias Wivel, curator of 16th-century paintings at the National Gallery in London, to try to arrive at a definitive attribution for this beautiful painting. The house is surrounded by a terrace garden with a lavish herbaceous border and geometric flower beds. A magnificent avenue of lime trees leads to Haddo Country Park.